Let's have our Craft-piration for the day. 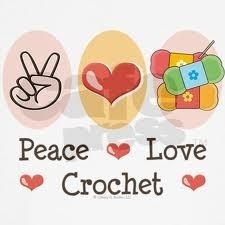 I think there will be so much peace when everyone just crochet, hehe. if only i have the patience to crocket.. hehe but my grandma is good at it. she even made me a skirt from crocket.